It's time to make your renders flow! Wherever there are fluids, we are immersed in them. However, they are underrepresented in Daz Studio renders due to its lack of a fluid simulator. 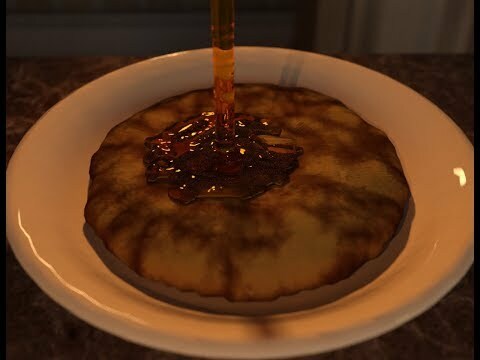 Some artist make the fluid simulation in an external software, as Blender, and then import the results in Daz Studio. No more, Fluidos can do the work! Completely inside Daz Studio! Fast. Can work in two cores computers. Only needs an OpenCL capable graphics card. Good for animation and still renders as well. Ignore option for nodes parented to Fluidos Domain. Cuboid source can be spatially discontinous. The first time a scene was saved, the childs of the Domain got unparented. Disabling OpenCL was incomplete, the engine searched for OpenCL devices before the starting of simulation. When Domain was rotated from default, the Source/Sink nodes didn't follow Domain properly. When Domain was rotated from default, the diffuse particles didn't orient to camera. Flow force to simulate wind over liquid. Linear force for special effects. The user can select the second GPU, if exists, as the OpenCL device. The old baked files can be erased before running a new simulation (by setting ON "Erase baked files" in Main Settings of Domain). The user manual was extended. What is with foam of a beach? 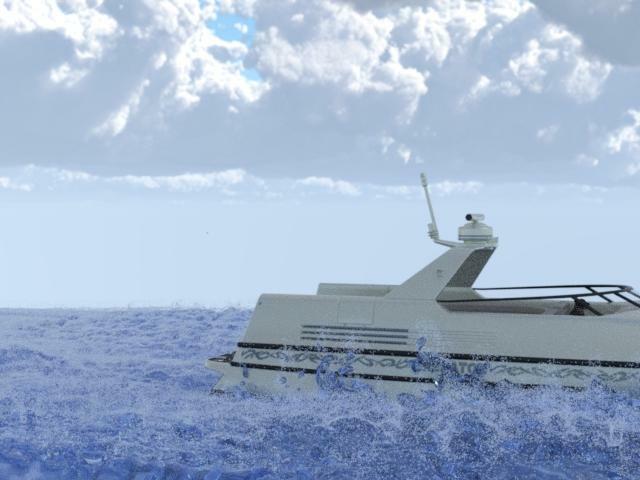 An does it simulate the waves trace and foam of a moving ship? Yes. Oh God, I have wanted this for so long, you can't even imagine. I would reiterate Gerster's questions, though I most likely will buy this on day one regardless of the answers. Looks great! A new world is coming to Daz Studio! Looks amazing - well done. cool video. The mage throwing water sells it. Please take my money now. It's possible to do a circular ocean (using a circular obstacle). The size could be whatever, although the level of detail is the limitant; a big ocean with high level of detail could consume substantial amount of time and memory. However, the whitewater (foam, spray and bubbles) could increase the realistic efect in an ocean with lesser level of detail. You can determine the level of detail and the quantity of whitewater. And, of course, Fluidos can simulate foam of a beach. About the moving ship, certainly, you can see the effect in the second video. Any estimate on when this will hit the store? I think about within a week or two. Which OpenCL standard? Anyone using dForce will already have a card capable of the newer OpenCL 1.2, but a lot of people will still have the older OpenCL 1.1. Another question, is it possible to make rain with this? There isn't a direct option for rain. But, as in real life, it can be simulated by shooting a stream of fluid (as a garden hose can do). However, this trick is more suitable for animations than still renders (unless you use motion blur). ok, thanks for the info. I'll have to mess around with that when it's available. Good for animation and for still renders as well. I assume we can use whatever materials we want? Because it would be interesting to use the high viscosity settings to simulate sand or a mattress. Maybe even parts of a body being pressed, it if allows for volume conservation? Yes, you can use any material you choose. And the volume is conserved (athough this conservation is not perfect in high speeds and chaotic flows). About a body being pressed, there is some limitants: If you want to transform a solid mesh (e.g. a figure) in a fluid, the plugin copies the volume transforming it in a grid. This grid has the resolution you choose; for a figure you will need high resolutions, that need more memory and time of simulation. Moreover, the UV is not conserved, because, as in real fluids, there isn't a static surface. Sand can be simulated very nicely; but a mattress is more difficult: a real mattress don't behave as a fluid, it has a too rigid surface; I think dForce is better for it. Thanks for your answer. Really excited about trying this and getting to experiment with it, just a pity some of the things I wanted to try are literally impossible, but I guess if the product solved soft body physics as a whole you would have opened with that. ... I think dForce is better for it. 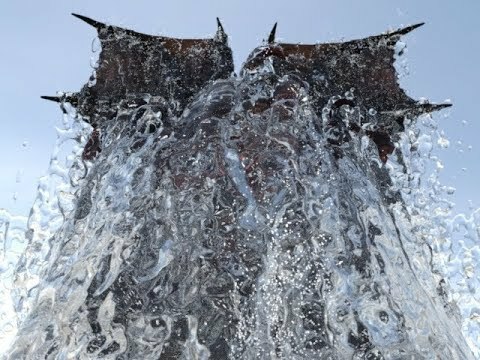 Speaking (well, writing) of which - I assume dForce can't interact with the fluid sim, for cloth to be pulled around by the flow, but what about the reverse? Will Fluidos be able to see the mesh modifications produced by dForce and adjust the flow to follow them? If this is a closed mesh (not an open surface), Fluidos can use as a solid obstacle, no matter if the mesh is changing its form along time. Ah, that probably rules out most clothing (I'd been wondering about using wind in dForce to generate a pseudo flow, then running the fluid through that - or using fairly simple shapes with wind and negative gravity as kelp). Thank you. Is it as easy to use as dForce is (just press the 'simulate' button)? Could a tidal wave be generated, so that we can finally depict surfing on a wave?